Welcome to Baby Guard Pool Fence of Miami, Florida. We at Baby Guard of Miami believe our fences are the safest, most affordable and strongest fences available. We proudly serve Miami, Hialeah, Kendall, Miami Gardens, Miami Beach, Homestead, North Miami, Coral Gables, Doral, North Miami Beach, Cutler Bay, Aventura, Miami Lakes, Palmetto Bay, Sunny Isles Beach, Pinecrest, Opa-Locka, Miami Springs, Sweetwater, Key Biscayne, Surfside, Bay Harbor Islands, Bal Harbour, and all surrounding cities in Miami-Dade County. 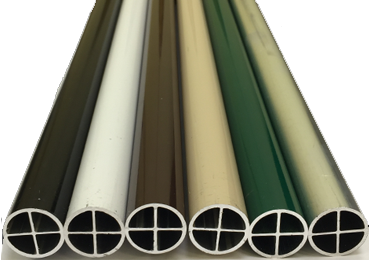 Our fences can be customized to fit any size pool. Baby Guard fences are available in either 4 or 5 foot heights and can be installed on nearly all deck surfaces. 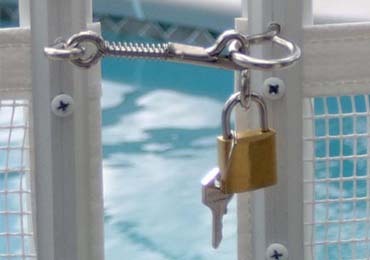 Baby Guard Pool Fence Company recommends a self-closing gate that will swing shut and is key-lockable. 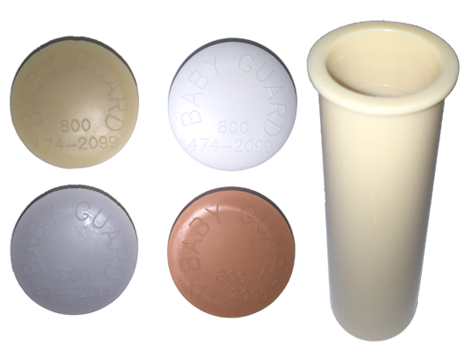 Baby Guard pool fences are available in a variety of colors and styles to match your outdoor color scheme. 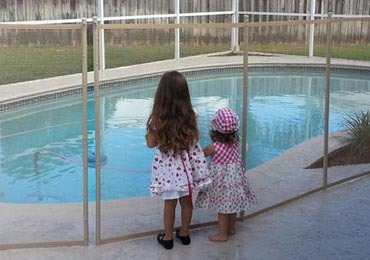 All Baby Guard pool fences are 100% rust-proof and come with a limited manufacturer's warranty. 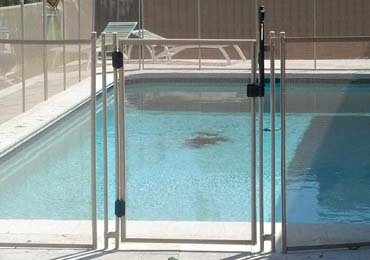 Swimming pool safety fences and accessories are mandatory in many cities, states, and communities, especially in Florida where it is pool season year-round. We, at Baby Guard, believe our swimming pool fences and self-closing gates are the most innovative and reliable pool safety products available today. Baby Guard pool fences comply within most local fencing regulations. 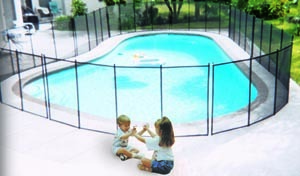 Even though most laws are put in place to help prevent needless pool accidents, no fencing could ever guarantee your childs safety. Never leave a child unsupervised with or without a pool safety barrier. 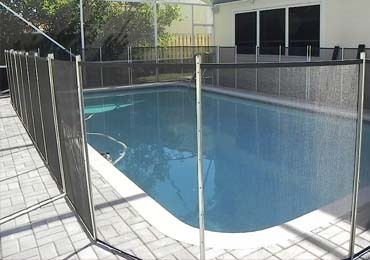 Baby Guard Pool Fence Company has over 20 years of experience in the swimming pool safety fencing industry. When you contact an independent Baby Guard representative, you can be assured that they will have your childs safety in mind. With installation locations across the United States and abroad, you can bet that there is an independent installer near you. 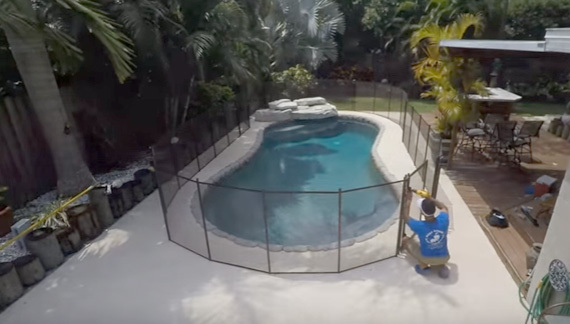 Click on the video to see what the Baby Guard Pool Fence installation looks like. The process is simple and takes no time at all. *Pool safety devices, as well as pool fencing, should never be substituted for adult supervision. Always watch children and never let them out of your sight. © Baby Guard Pool Fence of Miami, Florida.